Taroudante - Morocco is planning to build vive major news ports by the 2030 in an attempt to boost infrastructure. Taroudante – Morocco is planning to build vive major news ports by the 2030 in an attempt to boost infrastructure. In its 2015 report, the Oxford Business Group discussed Morocco’s strategy to build new ports in an attempt to drive regional economic development. In its strategy to spur wider economic growth and improve trade, Morocco plans to construct five major new ports by the end of 2030. Under the framework of the “Stratégie Nationale Portuaire 2030,” launched in late 2012, Morocco aims to expand the number and improve the efficacy of its ports, which will enable it to enhance trade with its key trade partners and place itself as an economic gate to the African continent. The same source said that Morocco is “investing substantially in its port infrastructure,” as “around 98% of Morocco’s external trade currently takes place via ports – equivalent to more than 100m tons per year,” with maritime ties between the country and its economic partners growing significantly. 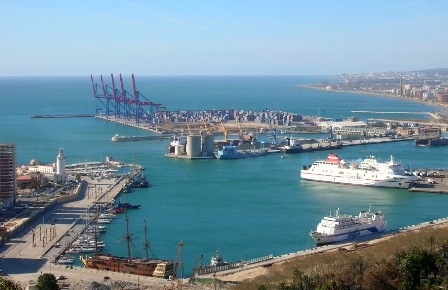 “The strategy, which includes upgrades of associated logistics and industrial hubs, seeks to build major new port facilities at Nador, Kenitra, and Dakhla, as well as commodity-focused ports in Safi and Jorf Lasfar, in part to help facilitate the development of existing industries and comparative advantages in the surrounding regions,” OBG reported. The Group said that Morocco’s port strategy will enable the country to develop its industrial sector and make it superior to its neighbors in attracting foreign investment.